CONWAY — Multicultural performance troupe, Mayumana, will bring its electrifying “Currents” show to Reynolds Performance Hall on the campus of the University of Central Arkansas at 7:30 p.m., Monday, April 1. The show is inspired by the historical battle of currents between Thomas Edison and Nikola Tesla, in their last quest for finding energy sources for the world. 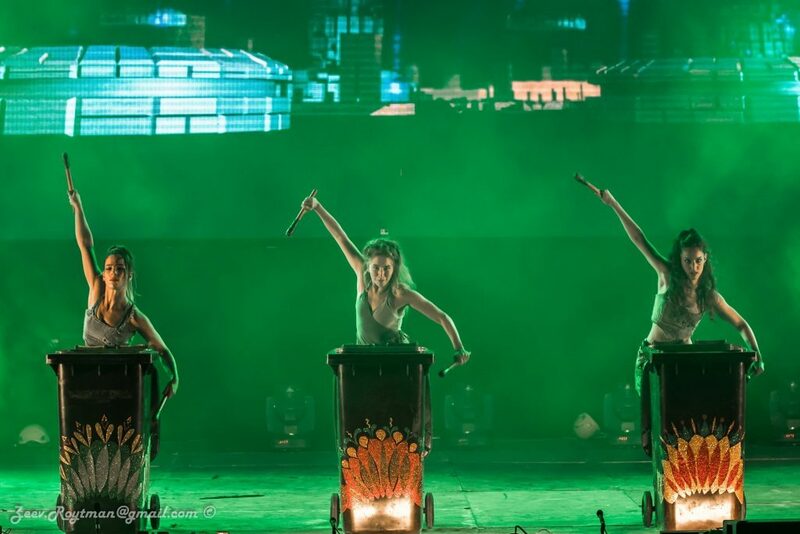 The performance will combine a variety of elements, including specially-made instruments, video art projections and 11 skilled performers in constant movement, playing on different instruments and musically juggling between different sounds. Audience members will be taken on a journey between two troupes, each representing a different view of the essence of light and electricity. Both troupes will be inspired by a different aesthetic and artistic approach, presented as a dialogue, through unique sounds, lights, and visual effects. This small group of gifted performers, each with diverse talents and contrasting backgrounds, come together through their shared passion for rhythm and coordination to capture the audience through the unity and synchronization of the group as a whole. Comprised of performers from more than 20 different nationalities, Mayumana has entertained millions of people around the world with its international touring cast, as well as in its home theater, The Mayumana House at the Old Harbour of Jaffa in Israel. Tickets range from $30-$40 for adults and $10 for children. Tickets may be purchased online at uca.edu/Reynolds, at the Reynolds Box Office Monday through Friday from 10 a.m. to 4 p.m., or by calling UCA Ticket Central at (501) 450-3265, or toll-free at (866) 810-0012.